The original Life is Strange is a favorite game of mine. The characters, the story, the time travel gimmick, each of these are highlights of the series for me. 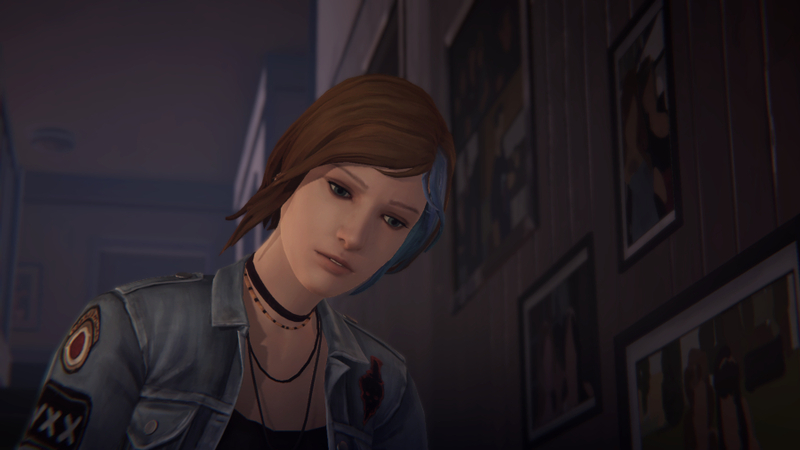 Chloe Price was hands down my favorite character and when talk of a prequel about her and Rachel Amber was announced, I was really excited. That being said, this is also a prequel not developed by the original developer and it also features a lot of new voices behind characters that meant so much to us the first time around. Life is Strange: Before the Storm wasn't quite the experience I wanted, but it still turned out to be a fairly enjoyable three episode run. The review for episode one, which highlights more of the mechanics of the game is here, and my review of episode two can be found here as well. My review of episode three, which is the finale of this story, will be fairly brief as frankly, there isn't a whole lot I can talk about without diving into spoilers. While I won't be spoiling events of this game, I will at least be talking about core elements of the story that have been leading up to this finale. Episode three begins exactly where episode two left off, with Chloe and Rachel learning the truth behind the mysterious woman from the end of Episode one. This causes a lot of pain for Rachel as this revelation was all based on lies. It causes Rachel and Chloe to bond a little closer, and this secret becomes the fixed point for this entire episode. While this narrative does conclude, fans of the original game already know what is to eventually happen to each of the two leads. The game does have its own complete ending, however; we do get a bonus scene after the credits that does hint at the fate of a certain character. This episode dives right into the matter of do you tell someone the truth and potentially hurt them or lie and attempt to protect them from that truth. 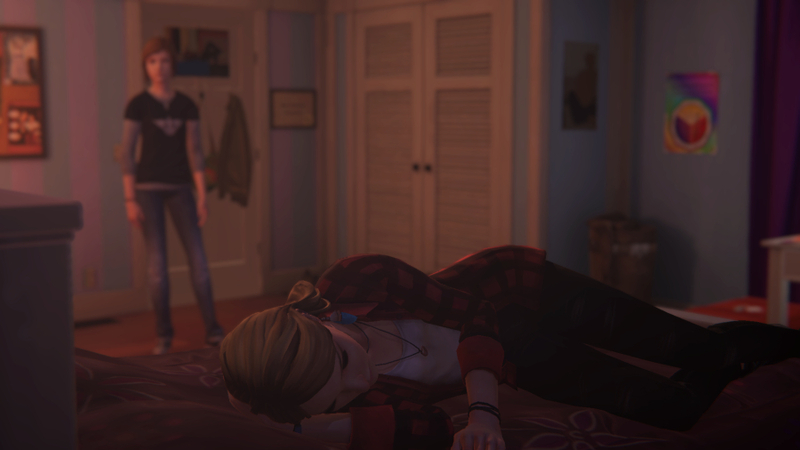 While this prequel has showcased much of Chloe's pre-first-game backstory, episode three is largely focused on the drama unfolding towards Rachel Amber. In fact, much of Chloe's story is side-lined here and feels far more condensed, as if a major scene had been cut for time. Sure, you'll visit the Price household, but even that scene felt rushed as does any scene that isn't relative to the main story. This tunnel vision approach to the narrative can make the game feel very small in comparison to previous episodes. Without the time travel elements of the first game, I was afraid that Life is Strange: Before the Storm would be too on rails and feature less gameplay elements than we have seen before. While the first two episodes had a Back Talk feature, which is a mini-game of sorts based around winning arguments, episode 3, at least in my playthrough, only featured one such moment. This led the game to feel far more like an interactive movie than I've seen in any previous episode or the original game. While I enjoy the characters and choices you can make here, this episode felt less interactive than before with only a few areas presented here for you to fully explore. There is one single puzzle mini-game featured here but even that felt lacking in its execution. Where Before the Storm succeeds is the various scenes that can play out differently on repeated playthroughs or just how you approach many of the different paths open to you. Each episode still ends with showing you the choices you made and it is here where you can also see the choices you could have made, making future playthroughs very interesting. There was even one choice shown on the results screen that I wasn't sure was possible, but now that I know what it is, I can attempt to tailor another playthrough towards it. One element to this episode that either was better in previous episodes or something I just never noticed, but is how stiff much of the voice acting is here. Characters speak far slower than before and it can cause conversations to drag on or feel awkward. Combine this with some jerky animations and it becomes a very noticeable blemish on an overall good game. I wish I had enjoyed Life is Strange: Before the Storm more, but I found it to only be a good experience rather than a great one. I wasn't too upset about the voice changes as I feel the replaced actors did a decent job. I still believe had this been a full five episode series that we could have had more moments and gameplay mechanics present to recapture that original game's spark. Before the Storm is enjoyable and features some of my favorite characters returning and frankly, that's worth the price of the game alone. The Deluxe edition of the game does feature one more episode yet to be released, but this will be a prequel to the prequel featuring the younger adventures of Max and Chloe.